"My positive review of Vistex while working with various SMBs"
I liked the technical aspects of the platform, but wish it was a bit more functional and interactive as we tried using it during one of our go-to-market strategies. It was not as user friendly as we hoped and took more time to initiate than expected. Had to look for outside help a few times when using and this is something we try to avoid. Good platform to start with and will give you a great idea regarding the types of incentives available. It was awesome for calculating different sales %s we were looking for and made those aspects of the launch very easy. "We are using Vistex composite for our sales compensation to pay all sales reps and dealers." I like the flexibility. We were able to do a technical upgrade without any issues or bumping into issues with other workgroups such as the quote to cash team. We successfully upgraded and were able to utilize some of the new features within the second week after implementation. Vistex was built to do these complex formula calculations needed as we create unique sales incentives to give our sales people reasons to go out and sell. I disliked the fact that we have to pull in a consultant to assist. We like to be self sufficient. I also didn't like the fact that we had to upgrade Vistex if we want to stay current in SAP ECC because they are integrated. We had some issues with Vistex after the patching of ECC that were unexpected..
Do not use spot consultants! Get your plan together before trying to bring in multiple consultants. We implemented Vistex in 2010 using Version 60A. There is no documentation from the consultants and there are also a few customizations we made to assist in exception tracking. Make sure you set up your system as the business needs it to be set up. We implemented in 2010, in 2014 the sales comp model changed and myself as an administrator and doing all the configurations was not aware until the supervisor was extremely upset the system wasn't doing what they wanted it to do. We now have to reconfigure based on the business needs - biggest recommendation - ENGAGE your ENDUSERS as much as possible during the design phases and keep them involved for all testing and reporting. We are able to calculate and pay sales comp for global accounts, North America, and we also use it for our Dealer rebates. We like the fact that it is somewhat separated from SAP and allows the users to create agreements and assign conditions. We have been able to create a file for our ADP export also to allow the Sales members to be paid the same as the rest of the company via ADP without manual effort. We will be realizing more benefits as we revamp using the new functionality as we just went to version 60A SP8 to 60D SP4. Many products on the market today require a PhD to decipher. Not this product. This one is user friendly. Our need was Sales Management, but this would be useful in many other applications. These products tend to be rather expensive, But I suppose the old adage "you get what you pay for" is very true. You do get a lot for your money. If your business needs an all in one management tool Vistex is the best on the market right now. Sales Management organization. Accuracy is very important, and Vistex makes sure the math is correct by doing the calculations for us. "Everything you need for sales manegement "
Typically these products are very difficult to understand and use, however this one is much more user friendly. This is useful for not only sales management but also product management. Pricing is the only area that could be better, however with all it provides it seems worth the price. I would recommend this product for all of the different business departments that it can help improve. The biggest impact on our buisiness has come from the pricing tools. It is able to verify the pricing is accurate and meets all of the requirements that our company requires. "Use as much or as little as you need"
I work on the BW side of things, and it's nice to see a software bolt-on to SAP ERP that also provides "content" extractors for BW. And speaking of the "use what you need", there are a lot of extractors that you can use, but we only use three of them for what we do. From the BW perspective, getting them to acknowledge and then fix an issue takes a bit of effort. Sometimes you almost have to actually tell them how to fix it, and then they'll fix it. The naming standards of the cubes are a little hard to get used to at first, and how the whole Chargeback to a Billback process works. But once you've gotten through that, it's pretty easy to understand. Sales Incentives payments to sales people--we mix the Vistex data with OTC Billing data to pay incentives. The users compare what they expect to pay vs. what actually came in to ensure the commission checks are accurate. "Technical Resource supporting Vistex Chargebacks v6.0C"
Integrates seamlessly with ECC 6.0. Can handle a large volume of data. Lots of flexibility with configuration. Lacking technical documentation. Unlike SAP, it is difficult to find what configuration settings do what. Current version has features we had to implement in custom code which poses challenges. Will be easier once we migrate away from our custom setup to standard functionality. "Channel Conduit Suite - great use"
Learning the Configuration Designs and connecting all the pieces to gether. "Easy to use, intuitive, user-friendly"
"Vistex very good product for handling Rebates"
"Not bad programm for the price"
Sometimes long hours during busy times. Unethical in their approach to the customers. Provide better care for employees. Improve customer focus. Provide solutions that actually help customers not just increase your billing. * We monitor all Vistex reviews to prevent fraudulent reviews and keep review quality high. We do not post reviews by company employees or direct competitors. Validated reviews require the user to submit a screenshot of the product containing their user ID, in order to verify a user is an actual user of the product. Hi there! 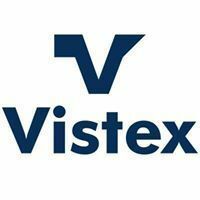 Are you looking to implement a solution like Vistex?